Replace Macbook fans. 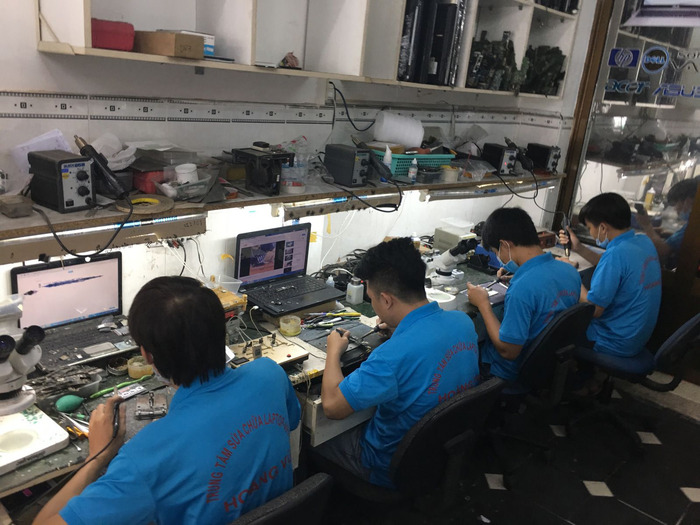 Changing the Macbook fan at the Hoang Vu Center, you can see the technicians who unplugged and replaced the fan professionally. You sit watch live and wait to finish product brought back. Replace Macbook fans. Currently, the service of changing Macbook fans of Hoang Vu Center allows you to choose one of two alternate product lines as follows. You can choose the product to your liking. + The first is the product line to remove the machine. These fans are removed from our Apple MacBooks and replaced for you at competitive prices with long-term warranty. Secondly, our new fan line is imported from partners supplying genuine zin replacement parts from USA and Hong Kong. Replace Macbook fans. You can contact us directly for advice when needed or directly to our center to be selected Macbook fan replacement products according to your personal preferences. ⭐ Experienced engineers and technicians repair more than 60,000 products. For more information, you can contact Hoang Vu Center via Hotline: 0916 472 445 for professional Macbook fan service consultation.